Exhibiting at one of the leading packaging exhibitions, ProPak Cape 2017, SMC hopes to further cement its place as the leading provider of solutions for the industry. SMC offers electric solutions too and, additionally, also niche solutions including its range of ionisers, chillers and dryers. One of SMC’s ionisers on the stand at ProPak Cape 2017. According to Abbott, there are three different types of ionisers available depending on the application and the environment. SMC offers a bar type ioniser (IZS40/41/42), a fan type ioniser (IZF10/21/31) and a nozzle type ioniser (IZN10). “The unique thing about SMC’s ionisers is that they can be ordered with a sensor. The sensor is a feedback device that can detect if a positive or negative charge exists at the source. The charge, measured as a voltage, is communicated back to the ioniser which in turn generates ions to balance it out. An option without a sensor is also available. In this case, the unit will generate an alternate charge which ‘bombards’ the application with positive and negative ions until it neutralises the application. This, even though less energy-efficient, is still a very effective solution,” comments Abbott. 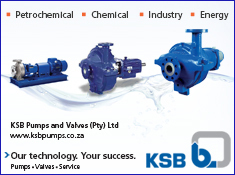 • Stainless steel cylinders, safety locking cylinders, pressure & flow sensors, modular FRLs, fittings & tubing. 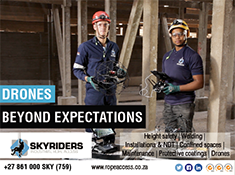 For more information go to www.smcpneumatics.co.za.